Rachel Hollis, TV personality and author of Girl, Wash Your Face, posted an Instagram photo of herself that went viral with this caption: “I have stretch marks and I wear a bikini… because I’m proud of this body and every mark on it… They aren’t scars, ladies, they’re stripes and you’ve earned them.” Liberating, this robust view of what women have tried to cover up for centuries. All this after the scene of intense fear: doors are locked. In all the post-resurrection appearances, they are slow to recognize Jesus. "I think they are blinded by their unfulfilled expectations and their feelings of loss and despair" (Jean Vanier). To such people Jesus utters a word, with the power of the one who commanded stars, sky and earth to come into being, and it's the one who stilled the storm: "Peace." As Jesus clarified earlier in John, this peace isn't the one the world gives! (John 14:27). Jesus doesn't give you some peace of mind or serenity you think you want. Jesus' Peace is his personal presence. In Jesus' presence there is no fear. Or maybe the way Jesus banishes fear might get us a bit agitated and in rapid motion. 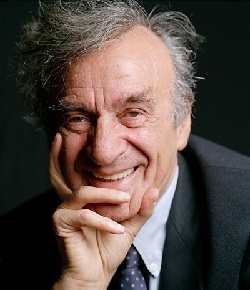 Elie Wiesel famously said “If an angel ever says, ‘Be not afraid,’ you’d better watch out: a big assignment is on the way.” Jesus comforts with one hand and then shoves them out into hard labor and danger with the other. One of my favorite details in all the resurrection narratives is in verse 22: “He breathed on them.” I’ll acknowledge there is powerful symbolism here – like God breathing the breath of life into people, the winds of Pentecost to come. But what if he actually breathed on them? What was that like? You have to be very close, physically, to someone before they can successfully breathe on you. Proximity to Jesus allows the sensation of his breath. This whole business of Jesus appearing suddenly behind closed doors, then vanishing just as suddenly, and yet you can poke a finger into his side and not just see but feel him raises questions about the resurrection. Long books have probed this – but my shorthand answer is that Jesus is the first of what we shall be, and that is: we will be raised with (or in, or as) what Paul called “spiritual bodies” (1 Cor. 15). No simplistic resuscitation here. Your old body doesn’t revive and live on. You are transformed, metamorphosized maybe. Jesus was not recognizable, but then he was recognized; the mortal and spiritual bodies are kin, similar, but hardly identical. It’s still a body though, not a ghost or a floating spirit. It can cook and eat, but it might vanish too. Paul uttered the understatement of the Bible: “Behold, I tell you a mystery” (1 Cor. 15:51). The impact of the resurrection was immediate, and then lingered. John 21 wasn’t long after Easter; Acts 9 many months later. Both are startling and transformative; conversion in both entails commissioning. I love the statue by the Sea of Galilee at The Primacy of Peter, a church built over a flat stone, allegedly the table where Jesus served breakfast to his disciples. This story has so many riveting details. Jesus cooking breakfast? Eating fish together? The fishing: notice in the Gospels the disciples never catch any fish without Jesus’ help! The haunting conversation between Peter and Jesus is memorable, and cuts to the heart of what adherence to the risen Christ is all about. Jesus doesn’t ask him Are you doing what I told you to do? or Have you been good? Jesus wants to know from him and from us, Do you love me? Way too much gets made about the variation in the Greek between agapé and philo – as if Jesus yearns for agapé but Peter can only muster philo? These two terms are pretty much interchangeable in John’s lexicon – and Jesus and Peter would have been chatting in Aramaic anyhow. 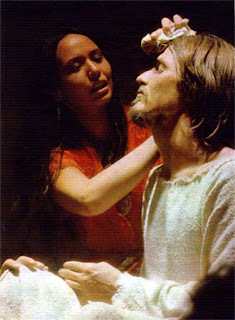 Mary Magdalene’s plaintive puzzlement in Jesus Christ Superstar, “I don’t know how to love him,” is a fair starting point. What does this peculiar love feel like? Or look like? By the time Jesus parts from Peter, he has told him and us how. Without oversimplifying, church folks (and clergy) might hear themselves responding to Jesus’ query by saying For years I’ve read your book, sat in your pew, given money, tried to be nice, volunteered at the shelter, gone to seminary… But do you love me? Of course, the simple fact that Jesus asks him not once or four times but three shows Jesus’ tender care, providing Peter with redemption for the three denials just a couple of nights earlier. The shape of this love is explained to Peter, and it has to do with giving up independence, and private dreams, and then being led. It’s not about doing what you want, or doing what you want to do for God, for doing what God wants you to do. The ominous remark about Peter’s death fed the tradition that Peter was crucified upside-down – a curious development, as Jesus invites us not to invert his sacrifice but to be very much one with him. We wish we could follow Peter's career and life - and witness what really happened in his final hour. Our Old Testament reading, which laughably (to me) is Acts 9, reveals something of the nature of the risen Christ. Not just a dead guy resuscitated, but a spiritual body, a body, recognizable, able to be seen and heard, yet utterly transformed, transfigured. Well after he’s ascended into heaven, the risen Jesus is still on the loose, changing everything. Appearing to Saul. Fulfilling Martin Luther King's admonition that "Love is the only force capable of transforming an enemy into a friend." A blinding vision from heaven works pretty well too. In this case, Saul, soon to be Paul. I don’t preach much about instantaneous, visionary conversion – but it is a thing, and I should find fresh ways to speak of it. Do we point to Luther’s dramatic experience when he “felt I was altogether born again”? or Wesley’s warmed heart? Do you have a story? 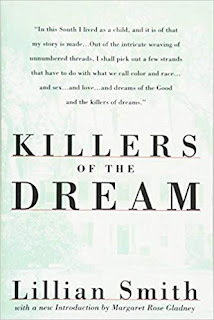 I love the suggestion, “Go into the city, and you will be told what to do,” which makes me wonder if that’s the word to us, that we discern our calling, the point of being a Christian, when we go into the city, and listen to the challenges and sorrows, the injustices and agonies of where real, and usually unchurched people live, work and play. You won’t take Jesus into the city. He’s already there. Notice Church isn’t an institution just yet. It’s still called “the way” – and it might be a way, a path, a journey even for us as we reimagine things. Quirky thought: is there any irony that he is at the “house of Judas”? A common name, yes – but foes of Jesus aren’t tossed aside but redeemed in this story. Unlikely instruments everywhere. The scales falling from his eyes – symbolic of the spiritually blind now seeing, such a key miracle in Jesus’ ministry – reminds me of Puff the Magic Dragon: “His head was bent in sorrow, green scales fell like rain.” Childhood lost – so what did Paul lose when he saw the light? Plenty – and we hear the pain of his loss repeatedly in his letters: family, reputation, the security of the Law, much more. This week’s Gospel is (to me) the least fascinating of our texts. It’s Easter 4, but also Mother’s Day – so we can look closely at the life of a woman (Acts 9), or at what may have been your mother’s favorite text (Psalm 23), which may have been read at her funeral, maybe along with the Epistle, Revelation 7:9-17. 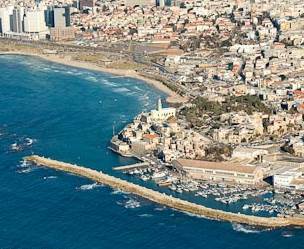 First up: Acts 9:36-43 (which I preached on last go round) takes us to Joppa – the port where Jonah attempted to flee the Lord’s call, and the town where Peter had his vision (at Simon the Tanner’s home) of all the food on the sheet. Center stage for today is Dorcas, the Greek name for Tabitha (meaning “gazelle”). “She was always doing good and helping the poor.” Always! John Wesley wryly told us that the doctrine of the devil is to do good when you feel like it – a surefire formula for spiritual hollowness, and a vapid church. 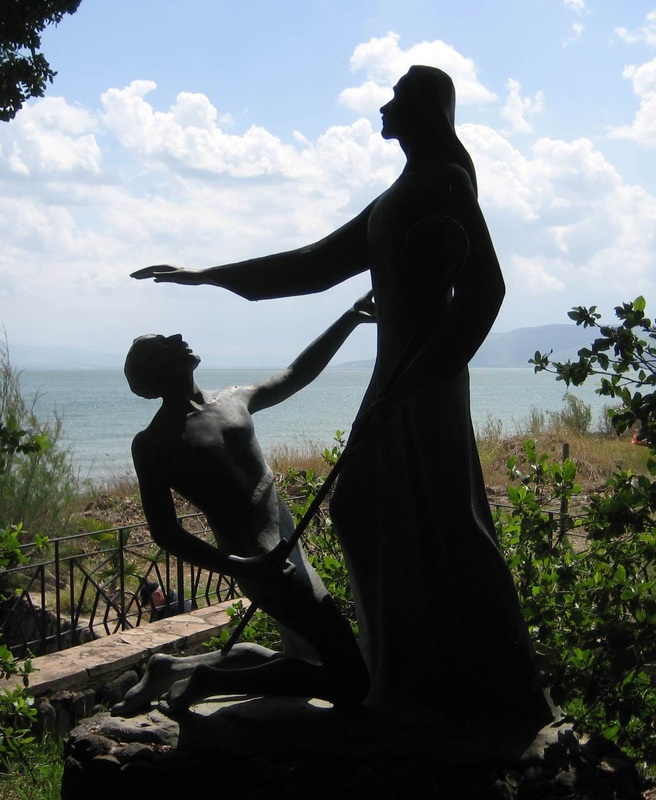 Suddenly this saintly, valuable woman died – so they summoned Peter, a known miracle worker, from Lydda, just 10 miles away. Notice this lovely detail: when he arrived, “they showed him the clothing she had made for them.” Artifacts of holiness. 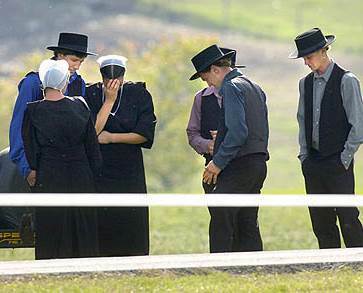 At her funeral, the poor came. A preaching question: will the poor or disenfranchised attend your funeral? Only if you’ve delivered aid instead of sending it (per Wesley again!). For my people to get the feel of things, I may speak of some knitters and carpenters and other craftspeople I’ve known who’d made amazing things, many of them for the poor. How do we use our creativity, our calling, our “therapy” for the good of the world? Doesn’t God’s love happen and become tangible when a team sews a prayer blanket or a men’s group hammers an accessibility ramp for a neighbor? 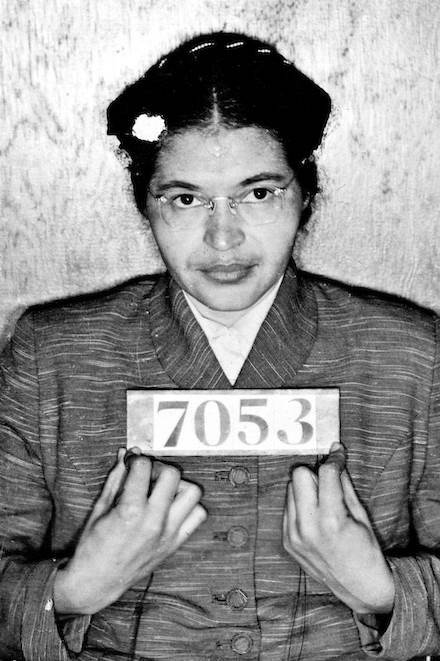 Rosa Parks, like Dorcas, was a seamstress. Mary sewed Jesus’ clothing. Is there a male equivalent of seamstress? Seamster? How about Silas Marner, the miserly weaver, who discovered a little girl, Eppie, and as he cared for her, he was the blessed one, discovering sunshine, joy and life. Peter speaks to the dead, the lack of a pulse being no barrier to the hope of the gospel. 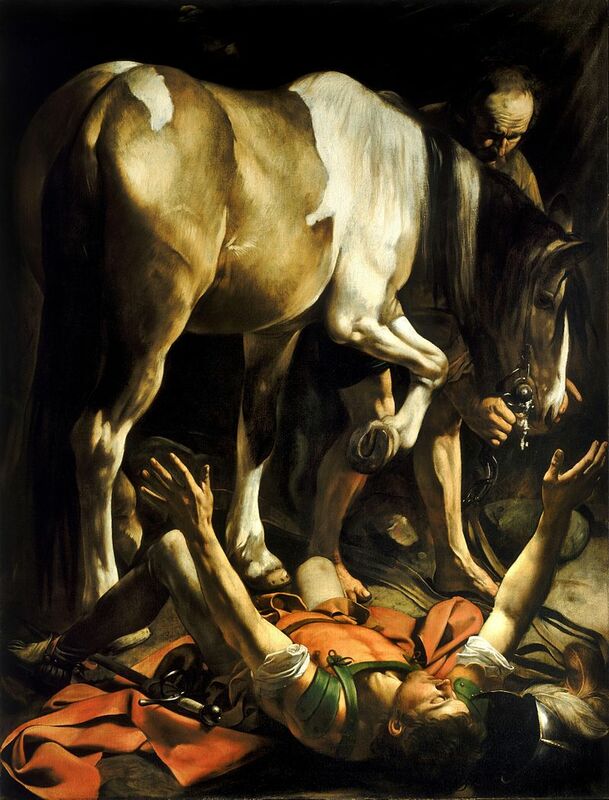 “Tabitha, get up!” made me scramble to the Greek… and leaving me speculating if in Aramaic Peter would have said “Tabitha, kum,” a rhyming echo of what Jesus said to Jairus’s daughter, “Talitha kum” (Mark 5:41). What resonance! How to handle such a moment? I’ve never raised or really tried to raise the dead – although Jesus did commission the disciples to be Jesus in the world, to do works even greater than his (John 14:12). Yes, it’s a sign of the resurrection to come. I wonder if in preaching I can name my own sadness, frustration, sense of ineptitude and failure in that I have prayed but been so very impotent in the face of suffering and death. The people know. 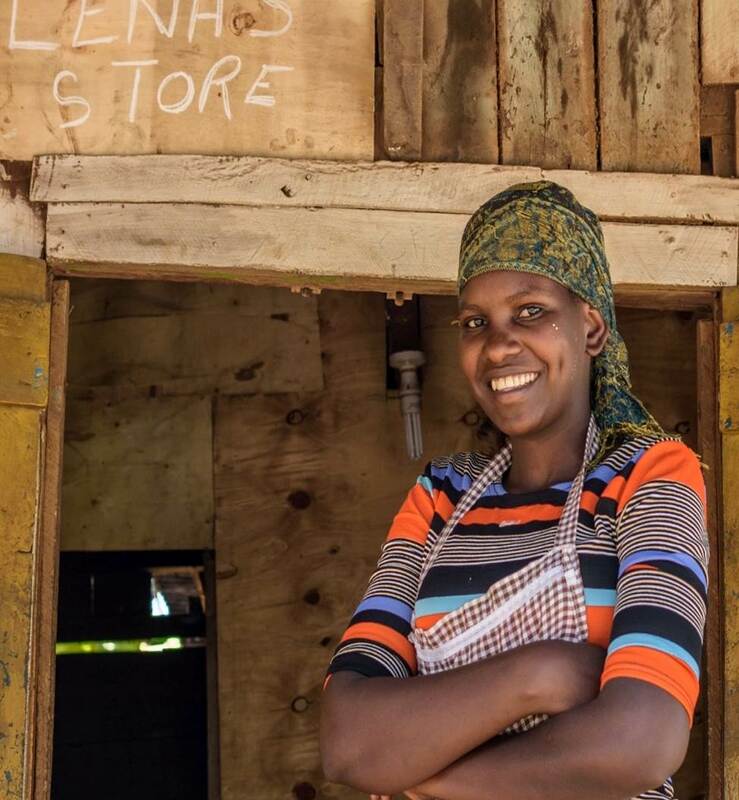 Last year I was in Kenya visiting the fabulous, effective, empowering ZOE ministry there. In a little rural community, the chaplain of a group of working orphans, Lena (only 19 years old), preached in Swahili about Dorcas. I couldn’t translate one word – but have rarely been so moved by a sermon. She began jauntily, stroking woven fabrics she’s hung along the wall. 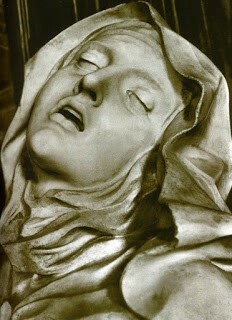 Then she fell down as if dead – and then she knelt and wept, audibly. I followed along as I supposed Peter to have arrived. He knelt, and she rose up from the floor – and there were shouts and laughter from the Kenyans listening, huge, tears of joy. If you’re an impoverished orphan in Kenya, news and the hope of a resurrected life, the possibility of a miracle, are so longed for, and even expected, that it’s real enough to elicit intense emotion. Americans slump in in their pews and yawn. I want to explore this in my sermon, without scolding anybody. Psalm 23 is so very preachable – partly because it’s so familiar, and yet it withholds it greatest surprises and secrets until we probe deeply. We think of Jesus the good shepherd as sweet and placid. But the first shepherd I saw the first time I went to Israel was wearing an Elvis t-shirt and golashes, wielding a switch, swatting the recalcitrant sheep and hollering expletives at them. The Lord is my shepherd. One of my choir members is very devoted to the word “through” in verse 4. We don’t walk down into the valley of the shadow of death. We walk through it. I’ll amen that. What’s more fascinating to me is that some clever person counted the Hebrew words in the Psalm, and discovered that the very middle word is ‘immi, really just “with.” Sam Wells, in his brilliant and hugely important A Nazareth Manifesto, has said “With is the most important theological word in the Bible.” Jesus’ nickname? “Emmanuel.” His parting words? “I am with you always.” God is with us. God doesn’t shelter us from things or fix every broken thing. God is with us. And therefore ministry isn’t fixing others. It’s being with them. What is this table “in the presence of my enemies”? Is it a taunt (which I explore in my sermon from last time around)? Or is it implied the enemy will be invited and welcomed – and therefore no longer an enemy but a friend? Think Luke 14, or Martin Luther King’s admonition that love is the only force capable of transforming an enemy into a friend. 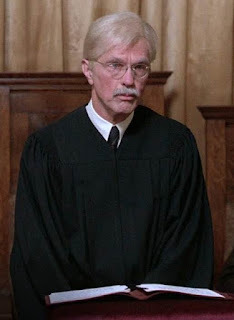 Another time, I preached on Psalm 23, pairing it with John 10 – and explored the kooky but promising idea that the speaker of “the Lord is my shepherd” might not be the sheep, but the sheepdog. I love what Evelyn Underhill wrote about the sheepdog; such a lovely image of life and service with God: "You want to be one among the sheepdogs employed by the Good Shepherd. Now have you ever watched a good sheepdog at his work? He is not at all an emotional animal. He just goes on with his job quite steadily, takes no notice of bad weather, rough ground, or his own comfort. He seldom or never comes back to be stroked. Yet his faithfulness, his intimate understanding with his master, is one of the loveliest things in the world. 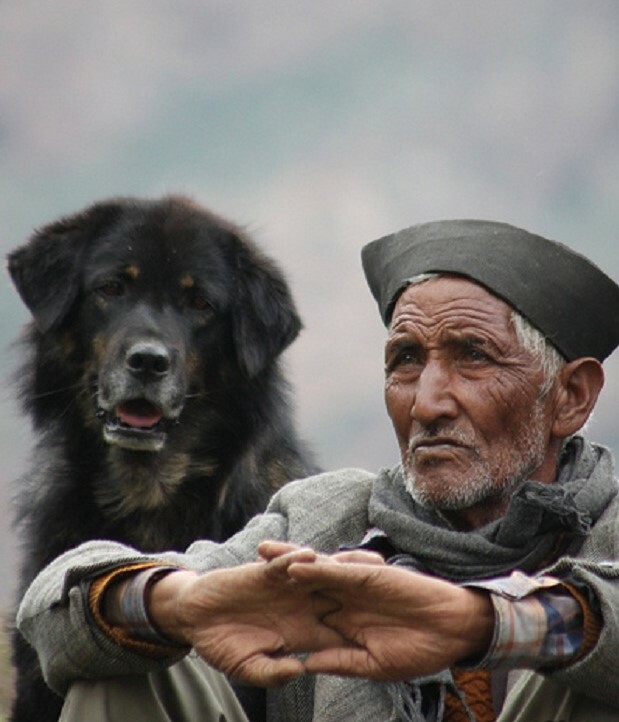 Now and then he just looks at the shepherd. When the time comes for rest they can generally be found together." We are having Holy Communion at our place on Mother’s Day, fitting for Psalm 23, and fitting as many will recall being at their mother’s table – and so we remember Jesus’ table and hers, and anticipate the feast of heaven to come. There will be no hunger in that day (our Epistle, Revelation 7:16) – not because the hankering of hunger will be removed, but because there will be plenty, always, and good company for all. Four solid texts for Easter 5. If you are continuing the narrative thread of Acts (our Old Testament reading?? ), the long story of Cornelius, Peter’s trance, the sheet with the non-kosher food presents itself (Acts 11:1-18). 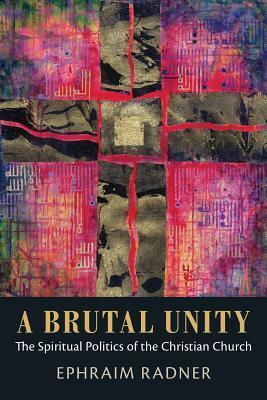 To me, it’s complicated, more for a Bible study class than a sermon – and hard to preach it without supersessionist or even anti-Semitic overtones. I also hesitate a bit over the narratives that seem to toss the Torah into the garbage bin – so we saved-by-grace people can, evidently, do whatever we wish. At least Peter and his fellows cared about what they ate, and reckoned with whether it was pleasing to God. The issue here isn’t merely unclean food anyhow; it’s unclean people – those dastardly Romans, abusive, oppressive heathens. Eat their food – and with them? Jesus, of course, set a high bar (or an absurdly low one…) for meals. 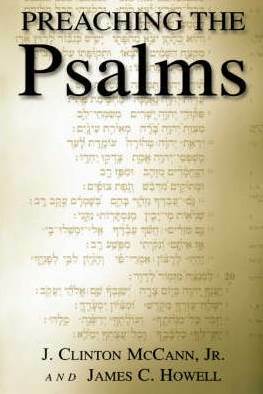 I’m leaning toward preaching on Psalm 148. Years ago I co-authored a book with Clint McCann, Preaching the Psalms – but don’t get around to it very often. 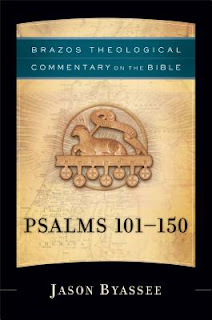 148 is one of the most imaginative and eloquent of all the Psalms. David Ford once wrote (in Living in Praise) that the antidote to despair is praise. I need to ponder that – and try some praising too. Praising is counter-cultural for us consumers. Praise wastes time. Praise isn’t about me, or even what God’s done for me. Can I get out of myself long enough to praise? Could my sermon not be utilitarian, but simply an expression of how amazing God is? For Psalm 148, people are insufficient to the praise required – not merely because their words and songs are too feeble. We need every creature, the animals, and even the celestial, heavenly beings to join in our chorus to stand a chance of honoring God well. At Christmas, we sing “O Come All Ye Faithful,” including “Sing, all ye citizens of heaven above.” They join us, invisibly, inaudibly, yet profoundly, as we lift out voices in praise of our Lord. All of creation is to praise. Jason Byassee, in his terrific Brazos commentary on Psalms 101-150, ingenuously suggests that creation is “the lock for which God’s redeeming work is the key.” Creation isn’t neutral, just a place we happen to be. It’s the setting for God’s great redemption. It’s the target of God’s great redemption, as God is saving not only us but everything ever made. So every created thing should rightly praise God. It’s easier for the non-human world. Thomas Merton wrote that “A tree gives glory to God simply by being a tree.” Indeed. 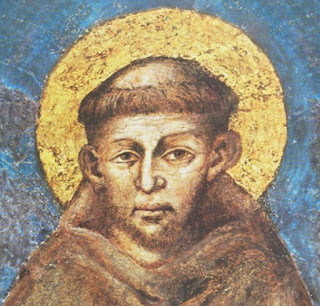 St. Francis showed us the way when it comes to joining the created creatures in praise. Not only did his famous canticle extol “Brother Sun” and “Sister Moon.” He preached to the birds, reminding them to praise God for God’s goodness to them, providing them branches in trees, brooks for drinking, and their lovely plumage, the air in which to fly. Psalm 148 includes dangerous creatures: monsters, hail, the storm. I’m reminded of Job 38-41, where God take Job on a tour of creation, pointing to beasts, alligators, eagles, perilous yes, and part of God’s created order too, praising God by being the beasts that they are. Cedars, which were used to build the temple, and the fruit of the vine, producing wine for drink and the Eucharist: they quite evidently praise God by being themselves and fulfilling their purpose. Kings and princes are urged to praise. There may be a kind of deafness about them – although is their some paradoxical weirdness that, unbeknownst to them, their regalia, pomp, palaces and wealth say something, not about their greatness, but the greatness of God who created such beauty? God seems to envision such a bejeweled, immensely valuable destiny for creation – if our Epistle, Revelation 21:1-6, is any indication. Then the Gospel, John 13:31-35, which has one simple point – which make it a treasure. Love is the one thing Jesus seems to require. 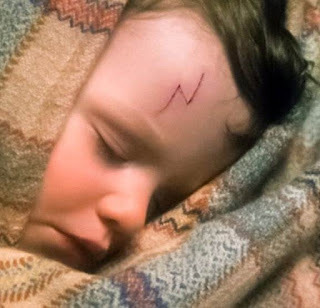 He became an infant to elicit our love. As a teacher, he said the whole Torah hangs on the words about loving God and neighbor. 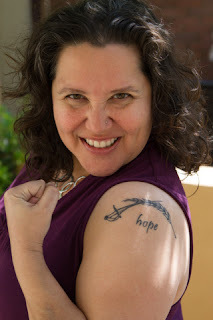 We might have someone sing Beth Nielsen Chapman’s wonderful “How We Love” – and as a minimum, I’ll be listening to it all week so I’ll get the feel of love being not the most important thing, but just the thing. Jesus adds a haunting twist: “By this everyone will know that you are my disciples, if you have love for one another” – as if he anticipated we might just struggle with this, as we do and mightily in our day. Francis Schaeffer, the philosophical godfather of modern evangelicalism, wrote maybe his best little book about love, which he calls The Mark of the Christian. 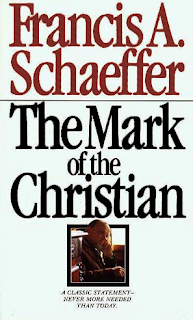 He ponders if it’s possible to be a Christian without showing this mark, “but if we expect non-Christians to know that we are Christians, we must show the mark.” He calls this “the final apologetic,” and then adds, “In the midst of our present dying culture, Jesus, upon his authority, gives the world the right to judge us, to judge whether you and I are born-again Christians on the basis of our observable love toward all other Christians.” They do judge us – and God would have it that way. So can we love? Acts 16:9-15 is Scene #1 in the drama that is Paul’s visit to Philippi (which I try to recall as in the background when I read Philippians). The healing of the possessed woman, and the jail non-escape are to come, and frankly are part of what makes the overall story thrive and pulsate with meaning and hope. Responding to a voice, in a vision, Luke’s “we” set sail from Troas (ancient Troy? 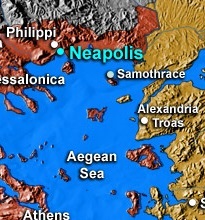 – now that’s interesting), “a straight course to Samothrace, the following day to Neapolis” (the port for Philippi). We skate right by this, but ancient readers would have said “Wow! You’ve gotta be kidding!” With the wind and waves being so moody, and the rocks near the shore so perilous, such a journey might usually take a week or two. The implication is that the Spirit (the “wind”!) is engineering this. Philippi was a “little Italy,” where Roman veterans had been resettled as part of the reward for battle. I wonder if they had something akin to Memorial Day, when they thought of their comrades who had died in the battles they had survived? Can a sermon touch on this without glorifying war and country unduly? Perhaps just envisioning the ongoing grief and memorializing that surely happened in Philippi might show we understand. 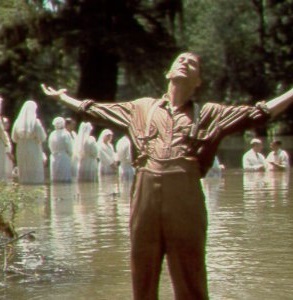 They go “down to the river to pray” (think Alison Krauss and O Brother, Where Art Thou?). There was no synagogue for them to attend on the Sabbath – and so, failing to find a quorum of Jews for worship, they come upon some women including Lydia. She is “a worshipper of God” – which we’d size up as someone not needing conversion! The Greek term indicates she was a God-fearer, interested in Judaism, even prayerful, but not a fully observant member of the community. She’s fascinating. A “dealer in purple cloth,” which the wealthy purchased – and so was she at least relatively affluent? “The Lord opened her heart” – reminding us clergy that at the end of the day the work of preaching is in the Lord’s hands, not ours. She beseeches them to come to her home – which, if verse 40 is taken into account, becomes the church in Philippi! In its earliest days, Christians gathered in homes, and a wealthier person would have a larger space. What’s intriguing about this new church in Philippi is its shattering of social convention. Wealthy Lydia, a slave girl, and then a middling government official, the jailer. People going to the wrong side of town, diverse peeps eating together, doing ministry to the needy together (could we even think of Lydia’s house as the outreach center? ): this must have provoked whispers, raised eyebrows, even harsh words. The promise God keeps is beautiful depicted by Jesus. Speaking of himself, and God his Father, Jesus says “We will come to them and make our home with them.” I might just repeat that a few times and call it a sermon. How lovely, how provocative, how tender, how hopeful. I always hesitate in preaching to say a little about the Holy Spirit. Need to go full-in – as our people carry thin, emotive notions of what the Holy Spirit is. It’s a surge of feeling – right? Never in Scripture, actually. Here we see a few of the Spirit’s tasks. Advocate – and we need one. Teacher – as we don’t know a zillionth of what we need to know just yet. Reminder – as we get spiritual amnesia and need constant recollection of all Jesus was about. This parakletos makes Jesus present to us once he’s gone. 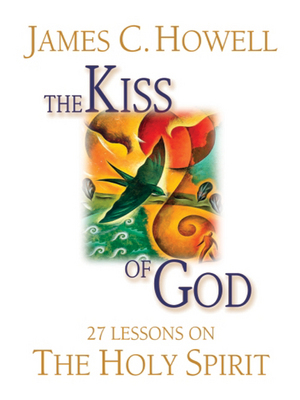 I wrote a very short little book on The Holy Spirit (called The Kiss of God), really a collection of brief daily devotionals, trying to help people – and myself as a preacher! – think carefully, truly and biblically about what the Holy Spirit really is all about. This Spirit brings peace. 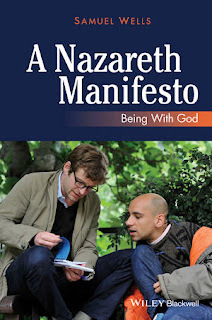 Think Hebrew shalom in its fullness: not simply placid calm, not the absence of conflict, but the rich delight in God’s presence, the joy of community, the sharing of God’s blessings among all God’s people, the implementation of justice for all. I wonder if a sermon might lift up instances of shalom. When have you seen it – in your life, in your church, in your city, even in the world? The full set of texts in the lectionary presents an array of options. May 31 marks the “visitation,” when Mary arrived to see Elizabeth, both pregnant with hugely important people. The tenderness of their time together is moving, lovely, theologically provocative. For me, it’s a classic text that doesn’t have a “takeaway” or a “go thou and do likewise.” The preacher can just marvel, gawk, stare in awe at this moment when two women are simply with another another. Elizabeth’s words form part of the rosary recitation Catholics recite. 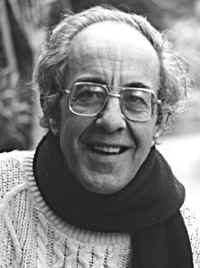 Henri Nouwen’s moving “A Spirituality of Waiting.” It’s been excerpted or printed partially various places, but I’d advocate listening: you can download an mp3 here. 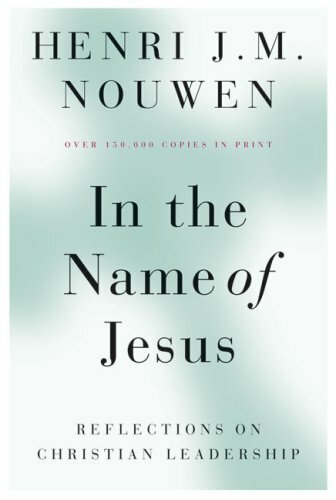 Nouwen’s voice and inflection and stunning, and he draws you into the experience, exploring how we hate to wait, what underlies that anxiety, but then how Mary and Elizabeth waited – and did so together. And the distinction between waiting for and waiting on – and how we might wait on God while we wait for God. The day before, May 30, is the Ascension, with Acts 1:1-11 as our text – and then Acts 1:12-26, which is hardly a break from 1-11, for Easter 7! I preached on this 3 years ago, if you'd like to watch. 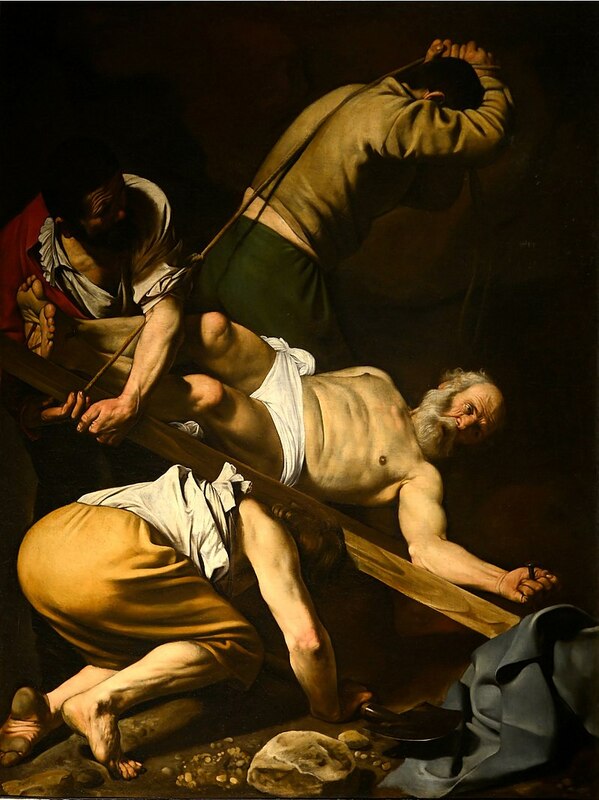 Skeptics hoot over the idea of Jesus defying gravity (Wicked, anyone? or John Mayer, anyone else?) and floating up into heaven. The art is all hokey - of course. Own it. 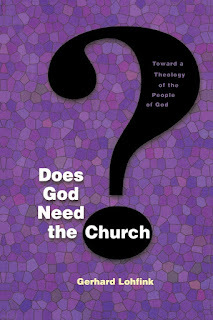 What better time to say to the skeptic, the intellectuals, the doubters, that yes, there's room in church for you too. 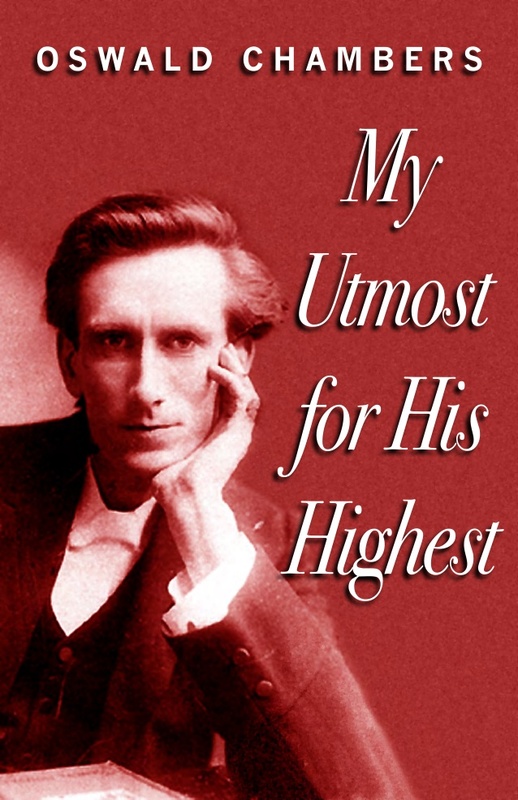 The ancient view of a 3-storied universe becomes no real problem at all if we recall that Jesus was raised with a “spiritual body” (as we will be too) – a body, but a transformed kind of body that appears and disappears… Oswald Chambers (My Utmost for His Highest, March 28) asks if we are loyal, first to my intellect and only then to Jesus? “Faith is not intelligent understanding, faith is a deliberate commitment to a Person.” How can we entertain solid science questions with candor, grace, and flat out interest, and yet stay committed to whatever is at the heart of the story of the Ascension - which shows up in our creed every week? I'll never forget a sermon I heard early in my ministry from a hardscrabble, not-very-pious preacher who tackled the Ascension story with loads of quibbles and questions - but then said "All I can figure is that this story gets Jesus back home where he belongs, with his Father in heaven." Not bad. What commitments does this Person ask of us and inspire in us in Acts 1:1-14? There are at least three – and John expands on those. Jesus exits, leaving the disciples alone. Think Lord of the Rings: Gandalf is with the hobbits for a while on their adventure, but then he leaves them on their own for some time. They face horrific difficulties, requiring courage and hope; they need one another; they have to stick together. 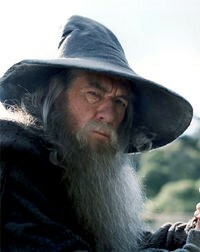 Gandalf shows up again at the climax, but then bids them farewell once more. The plot mirrors the Bible’s: Jesus heals, dazzles, teaches, suffers, is raised – and then he leaves. He trusts them - the little, unlikely ones. And he trusts us, we unlikely ones. Instead of dominating them, or creating codependency, he entrusts his future to them. We are Jesus here, now. Christ has no body now on earth but yours, no hands but yours, no feet but yours. Yours are the eyes through which the compassion of Christ is to look out on a hurting world. Yours are the feet with which he is to go about doing good. Yours are the hands with which he is to bless now. My first book, Yours are the Hands of Christ, spent 100 pages explicating this. This takes us to the wonderfully suggestive phrase in verse 1: “In the first book, O Theophilus, I have dealt with all that Jesus began to do and teach.” That is, Luke’s Gospel is what Jesus began; Acts is Luke’s narrative of how his people continued what he began. So, whatever Jesus did, we do the same kinds of things. WWJD? We can only answer this by becoming open-minded students of Luke (and Acts helps us) – as then it’s never mere niceness, or judgmental attitudes, but sharing property, touching untouchables, and more. Does the church today – does my church today – continue what Jesus began, and what the first disciples continued? The lectionary also supplies us with Acts 16:16-34. How humorous: Paul encounters a possessed woman, evidently traipsing around after him, and he gets annoyed! 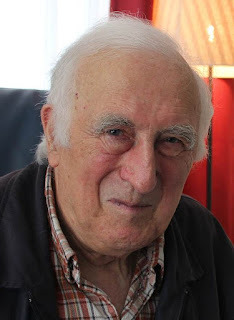 The response of the citizens in Phillipi – a “little Italy” of relocated Roman veterans – tells us about early Christianity and raises a question about our purpose today as Christians: “These men are disturbing our city… They are advocating customs that are not lawful.” Light years from us blessing America and the status quo. Paul clearly didn’t get the memo about keeping politics and religion separate… And so they are imprisoned in what must have been a cold, hard, dark stone cavern with zero amenities. And instead of whining, they sing. 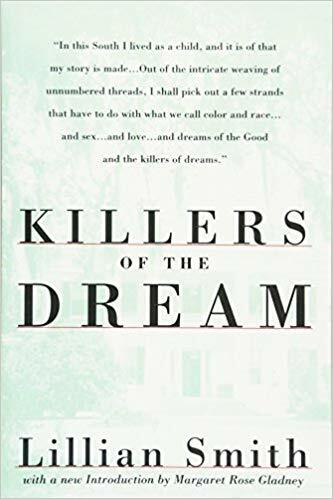 In The Children, David Halberstam tells about the night in 1961 in a Jackson, Mississippi jail. A young civil rights protester with a stunning voice began to sing. The cells grew quiet, enthralled by James Bevel’s solo. The white prison guard demanded quiet. But Bevel sang on. 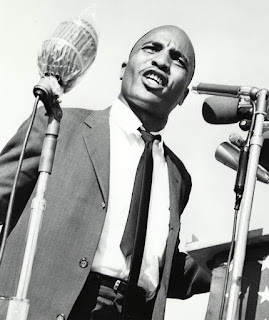 The guard arrived at the door and asked for the radio: “No radios allowed in here – you niggers ought to know that.” Bevel replied, “You ain’t getting the radio – not this one.” And then he continued singing “The Lord is my Shepherd.” The guard, uncertain if he felt anger or faith, walked away. Our Gospel reading, John 17:20-26, shares Jesus’ prayer for unity among his followers – and clearly Jesus continues to pray for that same unity. We talk unity quite well – but typically we mean “I want unity – my unity. Come be like me.” But real unity is about Christ, and real unity requires sacrifice. And repentance. And forgiveness. On Pentecost and the Holy Spirit in general, and attention to Acts 2:1-21 (and the alternate reading, Genesis 11), check out last year’s blog. To keep myself from the same old same old, I think I’ll focus on the Epistle, Romans 8:14-17, or the Gospel, John 14:8-17 (25-27) – or both (daring to commit the semi-schizophrenic sin of focusing on two texts). 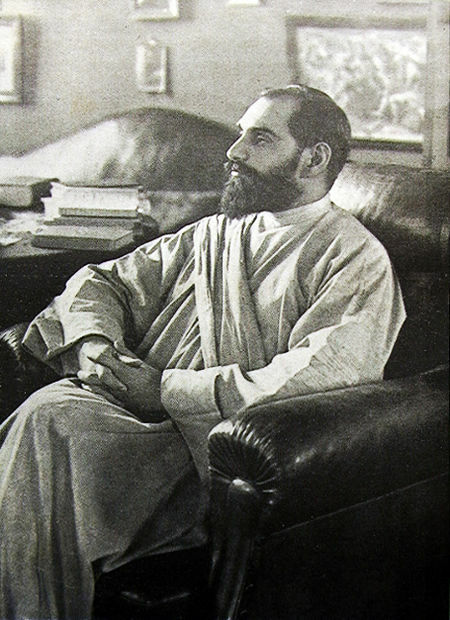 Periodically, when preaching on one of Paul’s letters, I invite people to imagine him sitting at a rough, simple desk, pen in hand – or even better, pacing back and forth, furrowing his brow, dictating to a scribe who had to be slack-jawed in admiration as Paul, out of thin air (or in a spasm of inspiration), spoke of eternal, emotional, empowering things with unmatched eloquence. If Paul dictated nothing else, Romans 8 would stand as a masterpiece of theology. Maybe Pentecost implies that God moved in untold ways in Paul’s mind and heart, enabling him to perceive what no one had ever perceived – and then, miraculously, it comes across the centuries to us in a Bible. Ours is to read slowly, in considerable awe, praying to that same Spirit to show us something, to move our minds and hearts. We are “children of God,” a notion we might take for granted until we ponder that no other religion ever dared such familial intimacy. The Roman deities had children, usually the fruit of sophomoric encounters. 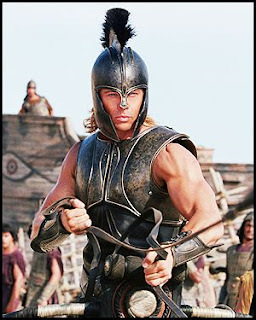 Achilles might be a typical “child of a god,” heroic, muscular, flawed but not your ordinary guy. Paul wrote to nobodies, and to somebodies, and they all are God’s children not because of their abilities or brilliance or derring-do, but as the gift of God’s Spirit. As children, they address God as “Abba,” an idea frequently preached upon. Recently I’ve wondered what Jesus’ first word might have been. 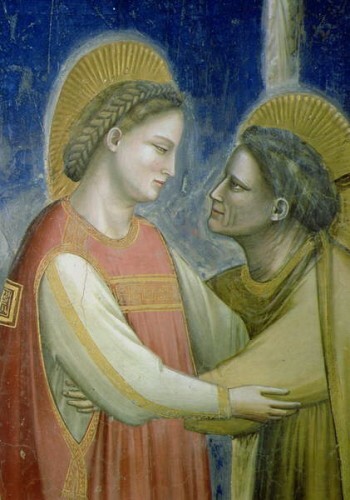 He adored his mama, of course – but did he look at Joseph one day and intelligibly utter “Abba”? He knew Joseph’s tender mercy; did that help Jesus fathom the wonder of God his Father’s tender mercy? Knowing people trembled before petty, moody deities like Achilles’ dad, Paul in his thin place explains we need to fear God or anything else. We aren’t in slavery. Well, we are. We are slaves to self, to sin, to the culture, to our brokenness. God in Christ through the Spirit liberates us to be God’s children. And it’s adoption! Astonishing: when conceiving of the most wondrous relationship possible with God, Paul fixes his gaze upon what might seem as second rate relationship: the adopted, not naturally born one. I have a book coming out later this year about Birth – with a chapter on adoption. Let me share a few excerpts as we explore adoption theologically (and this fits both Romans 8 and John 14!). How many people through history were adopted? 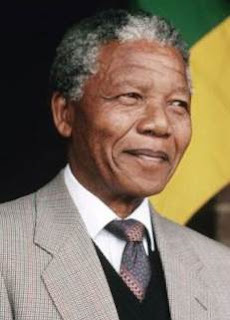 Leonardo da Vinci, Babe Ruth, Edgar Allan Poe, John Lennon, Eleanor Roosevelt, James Baldwin, Steve Jobs, Leo Tolstoy, Lafayette, the Roman emperors Trajan and Hadrian, Aristotle, Confucius, and Nelson Mandela. Queen Esther of the Bible was adopted. Superman was adopted, and so was Buddy, who was raised by an elf at the North Pole but then finally located his father, Walter, in New York. The profoundly moving film, “Lion,” tells the story of Saroo, adopted by an Australian family, finally managing to locate his mother in rural India. The themes of vulnerability, love and reconciliation in such stories fascinate all of us, including those who’ve never adopted or been adopted. Relatives by Baptism, by the blood of the cross, by the gift of the Spirit at Pentecost. How cool is it that Jesus, at the Last Supper, and in our Gospel reading for this week, promised his disciples and us that “I will not leave you orphaned.” The Greek, orphanous, is sometimes translated “desolate.” Jesus embraces and enfranchises not to well-born, but all who are born. Prevenient, prevailing grace. But before we rummage around the John text, don’t neglect Paul’s one condition to his even more fantastic promise: you not only get adopted, but you inherit the wealth of the glorious kingdom! It’s like Rockefeller or better took me in and left me the riches! We surely may wish Paul had put a period after the word “heirs.” But no: he had to add “if we suffer with him.” It’s not, Oh, you might suffer for him. You will. And only if you do will that inheritance come. The preacher has to parse what this might look like – not just for them but for the preacher. I do recall going to the Mel Gibson “Passion of the Christ” film. The guy sitting in front of me was sobbing after it ended. I asked “What are you feeling?” He said “Jesus suffered so I don’t have to.” Paul suggests precisely the opposite in Romans 8, and saints through the centuries didn’t become saints because they were shielded from all difficulty by God. 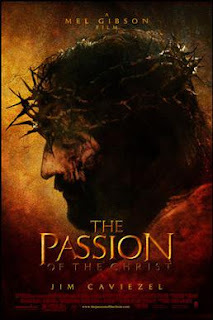 In a world out of sync with God, and if it’s Jesus whom we’re attached to, there will be pain, friction, some piercing. Finally, a couple of thoughts on John 14:8-17 (25-27). 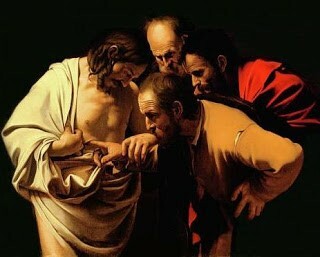 “Show us the Father” prompted Jesus (was he frustrated, annoyed, patient?) to say “He’s right here in front of you, you’ve been walking around with a clear window into the Father’s heart for three years!” But notice it’s not just a window. Maybe it’s a mirror. “You will do even greater works.” Show us the Father? We, inept, confused, broken disciples, are Jesus Body; we are the window to the Father. How odd of God to choose a fledgling band of such weaklings. And yet that is God’s own glory.